Jim signed from Carnoustie Panmure. 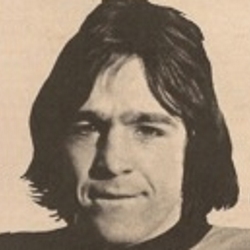 He made the step up to first team football in 1969-70 and was a regular in the side for four years. 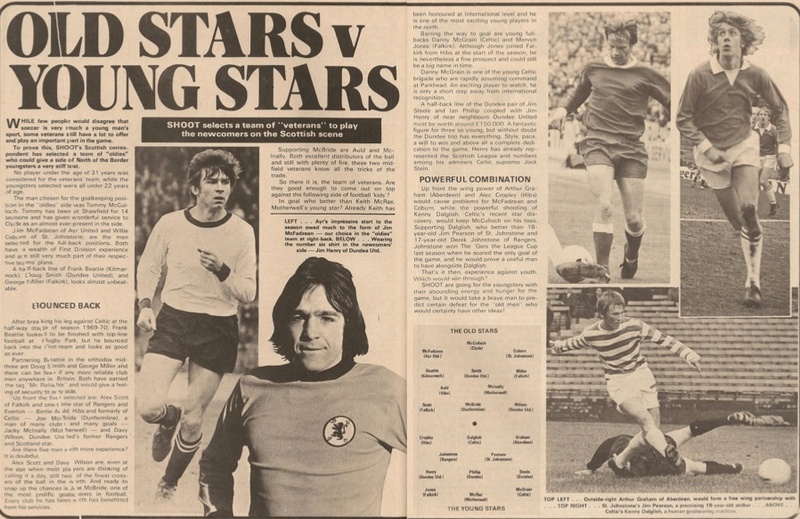 In September 1970, he played for the Scottish League. 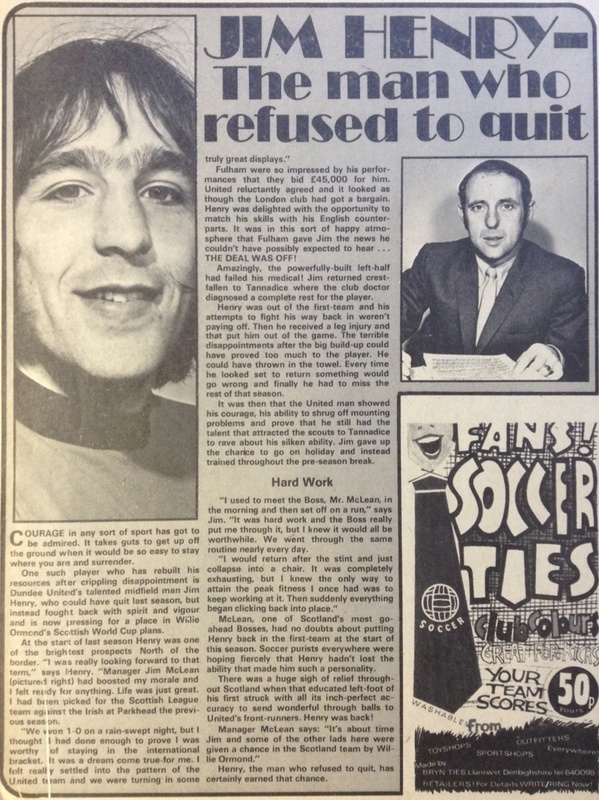 In March 1972, he left United, apparently to join Fulham, for a fee of £50,000 but he returned to United after Fulham refused to complete the deal, stating that Jim was not fully fit, a fact they were well aware of before Jim went to London. Subsequent injury kept him out for the rest of the season. By the beginning of 1973-74, he was re-established in the side but accepted a move to Aberdeen in January 1974, for a reported £20,000. Jim was born on this date in Dundee. A first-half stalemate did little to satisfy a Tannadice crowd which had seen United dominate from the first whistle, but failing to turn that pressure into tangible reward. And the picture looked even grimer when Saints took a shock lead just four minutes into the second period, Pinkerton sneaking the visitors into the lead. 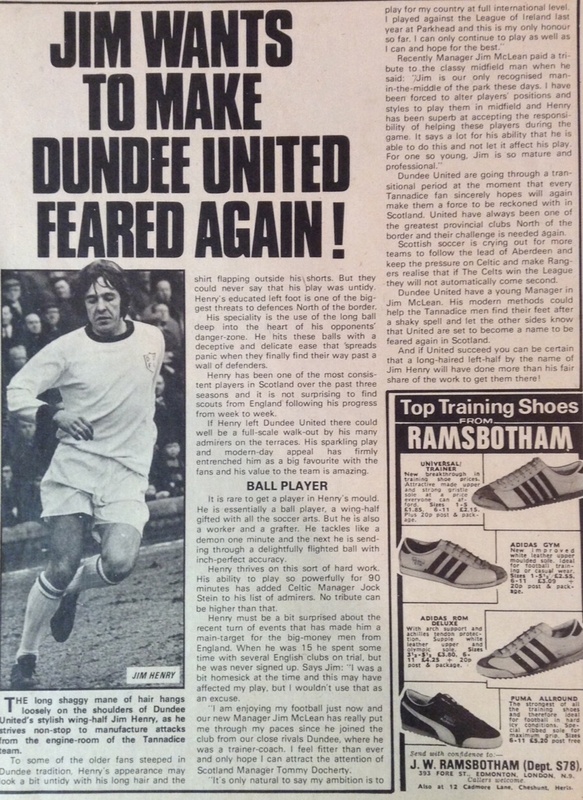 Dundee United got off to a great start when, following a cross into the penalty area the Hearts' defence failed to get the ball clear and young wing half Jim Henry stepped in to crash the ball into the net. Hearts were not downhearted and they gradually took command and George Fleming, scored with a long range effort to equalise. The, George Fleming hit another from outside the 18 yards line, which also found the net and put Hearts into the lead. 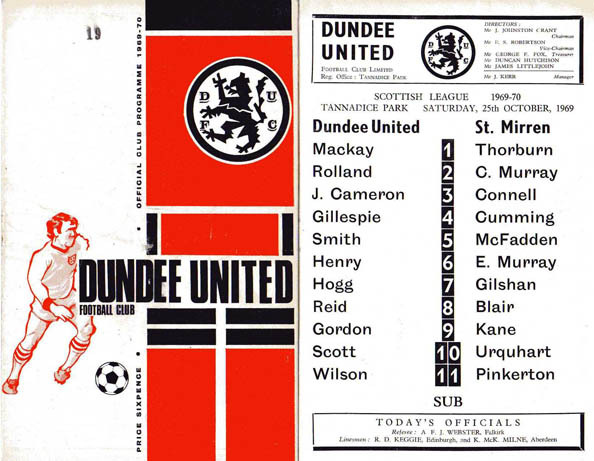 Dundee United eased into the second round of the Texaco Cup against a Sheffield side who failed to perform. The tangerines scored first in 29 minutes when Jim Henry's shot from 30 yards beat the 'keeper who looked suspect to say the least.